Fasting has been around for as long as humans have been on this earth. From ancient times when people hunted for food and then in times of drought. During periods of droughts when there was no food, this would be known as a fast. Many religions around the world will fast as part of there spiritual beliefs to cleanse the body. The Ramadan fast provides spiritual upliftment and wellbeing to people who practice the Islamic faith. Fasting is not a hype, there is no build up, just pure scientific facts. Fasting is not a fake, or a fad diet, nor is it a weight loss program. You do not need a weight loss program when you can simply fast. It is a natural thing to do. Studies have shown that you will lose weight if you fast. There have been so many books written on the subject, and they all lead to the same conclusion. Fasting is not eating between the last meal of the day to the 1st meal of the next day. 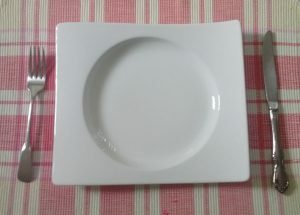 Fasting can be tailored to your own schedule, simply stop eating. Wait for a period of time and then start eating. It is not starvation, starvation is when you have no food when you want to eat. An example of fasting is to start your day in the morning with breakfast at 07:00, then lunch and end with dinner at 19:00. The fasting period starts after dinner and continues until the next meal. In this case the fast is 12 hours if you have breakfast at 07:00 the next day. If you need to check a fasting blood glucose, check before breakfast. Here is some trivia for you, where does the name breakfast come from? It is obvious, breakfast breaks the morning fast. Intermittent Fasting (IF) is fasting during a set period of time. For example, fast for 12 hours, 5 days a week. Your window for fasting is 12 hours and 12 hours for eating. Another example is fast for 16 hours for 2 days. Your window for fasting is 16 hours, and 8 hours for eating. You can try different time windows to see what works for you. The theory of the fast does not work with any specific diet. You eat and then you fast, eat and then fast, and so on. In between meals during the fasting period your body is burning fats. Before you start doing the intermittent fast, you will want to build up to it. So if you have never done it before, start with a 10 hour fast and then build up. The way to start the fast is finish dinner at 20:00 and then the next day you can have breakfast at 06:00. You can vary the eating time as long as the gap is 10 hours. Once you hit that mark shoot for 12 hours, then 14 hours and so on. It is very easy to do this, but you have to put your mind to it. Build up to a comfortable level. Make sure that sleeping takes up some of the hours of the fast. You can still work if you have to. This is now the perfect time to get caught up on your reading or anything that will keep your mind off of the fast. Keep working to build up longer times. Shoot for 16, 20, or 24 hours, 2 times a week, in no time, it will become a part of your routine. You can drink water, unflavored coffee with butter, or tea. Do not add sugar, sweetener, milk, or whitener. No sugar additives (this is another discussion). You can consume drinks that do not raise blood sugar or stimulate insulin. If you are not sure, drink unsweetened water to keep you hydrated. Weight loss, as fat is burned, known as lipolysis. As weight is lost, A1c goes down, blood sugar goes down. Metabolism improves, calories get burned as heat. Reduced dependence on medication, great time to get off of Insulin, or Metformin. Improved blood pressure, your blood pressure will start to normalize. Anti aging effects, helps you to stay younger. Neurological benefits, it helps the brain. Cellular cleansing throughout the body, known as autophagy. When I first heard about fasting, I was very skeptical. I thought no way in the world will this work. The reason I tried it was because of my diabetes and I read Dr. Jason Fung’s book: The Complete Guide to Fasting. Reading this was such a great educational experience which turned me on to fasting. Jason, I cannot thank you enough. Many thanks for the the inspiration. God bless you. Have an open mind and consider the information. If you have never fasted before, give it a try. My hope is that this information will serve as a start and lead you to take action. I know it is going to be hard, but I will make this point again, do you want to suffer the consequences? Live a short life and suffer from diabetes or live a long and healthy life without medication. It is your call. Before you have your lunch, take a blood glucose reading. Make Intermittent Fasting a part of your life. Fasting is now part of my lifestyle. I have lost 35 lbs. (15.8 Kg) with absolutely no pain, it is a piece of cake, pardon the pun. My belt size has come down 4 inches (10cm). If you do not give this a try, the only thing you will not lose is your type 2 diabetes. I did not have anything to lose by trying this plan, and the good thing is it worked. Now that I have done it I recommend it to everyone. Absolutely. There will be symptoms like dizziness and headaches, that is normal until you get used to the fasting. When you first start out ensure that you are at home and are able to put time into doing the fast. So that you can rest and not be running around. Once you get going by doing the fast you can stretch the fast into longer periods of time. For example, once you surpass the 16-hour mark, try 18, or 20, or 24 hours. I am currently at 2 days of 22 hours and 5 days of 16 hours of fasting per week. The key is to be comfortable and be sure that you are drinking water to keep yourself hydrated. The fasting is not the same for everyone so my schedule may be different from yours. If for some reason you do not feel well, then stop immediately, and go see your doctor. Hypoglycemia can happen at any time. It is a good idea not to tell anyone that you are doing the fasting as they will try to talk you out of it. They will try to talk you out of it because they know nothing about fasting, this is your issue, not theirs, so no problem carry on. After you have fasted for a couple of months then let them know. By that time you will have lost weight, feel better and have your fasting under control. This does not mean you can go out and eat fast food. I recommend you eat a LCHF diet along with the fasting. I am absolutely 100 % telling you it will work. You have to take control to help yourself, no one is going to help you manage your diabetes. If you do not take some sort of initiative, then pray to god. Praying to god works better with fasting. Do something, but do not sit there and think about it. Take action today. The only thing that I am trying to tell you is to take action and fast, if you have not done it before. Give it a try. Now you know what I know. Hope this helps you in your fasting. Do not try this if you are pregnant or are a child or you have a food addiction. Be careful if you are a type 1 diabetic because it will lower your blood sugar. If you do not feel confident, then do not do this. It is not for everyone. This information is not a substitute for medical advice. All information within this text are intended for motivational purposes. Any health, diet or exercise advice shared here is not intended as a medical diagnosis or treatment. If you think you have any type of medical condition you must seek professional advice even if you believe it may be due to diet, food or exercise. I am not a doctor, I am a researcher and advocate. Please consult a doctor, and or a qualified health practitioner before using any dietary, exercise or health advice from this website. “The best of all medicines is resting and fasting.” Benjamin Franklin. “Prayer brings us halfway to God, fasting takes us to the gateway of heaven.” Muhammad. “A little starvation can really do more for the average sick man than can the best medicines and the best doctors.” Mark Twain, in My Debut As a Literary Person. “I must say in all seriousness that fasting when combined with a properly selected diet is the nearest approach to a ‘cure-all’ that is possible to conceive– profoundly simple and simply profound!” John Tilden MD. I welcome and appreciate comments, questions and or concerns. Please leave a message. Many thanks for dropping by and reading.